TripAdvisor reveals the Travellers' Choice Winners for the best hotels in the world. Get ready to revise your ‘must-stay’ list! We've written about some of the most unique hotels in the world, now TripAdvisor has revealed a list of the Top 10 Best Hotels in the World as voted by millions of travellers in the 2016 Travellers’ Choice Hotel Awards. Get ready to revise your ‘must-stay’ list! What are the Travellers' Choice Awards? The best hotel lists are based on the millions of reviews TripAdvisor has published over the year. Now in its 14th year, the Travellers’ Choice Hotel Awards recognise the best hotels globally as well as the best luxury and budget hotels in 97 countries and eight regions around the world. More than 7,000 properties are recognised in the awards, distinguished by their service, quality and value. The best thing is that staying at some of these top hotels won’t break the bank! 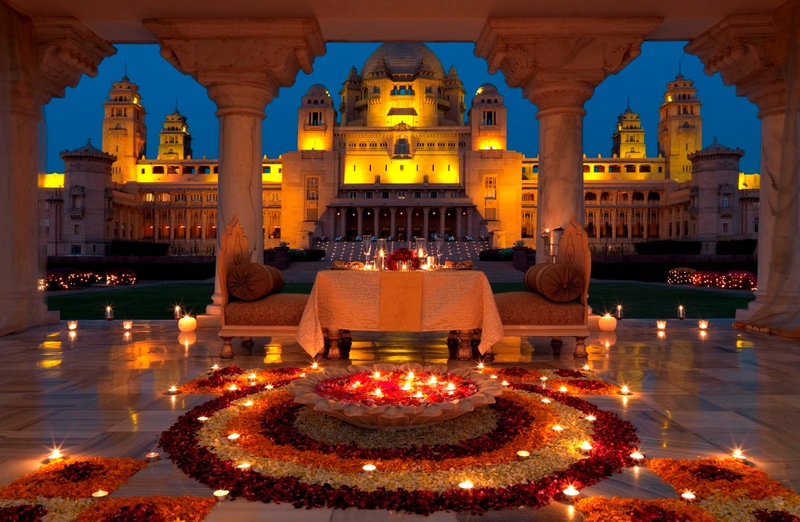 The title of the most luxurious hotel goes to the Umaid Bhawan Palace in Jodhpur, India. Built between 1928 and 1943, the hotel has 65 luxury, art deco suites which you can stay in for around $1055 per night (in the off-season you can get a room for around $561 per night). The 26 acre estate also includes a private museum and marble squash courts. It's little surprise that the place has attracted 767 excellent reviews on TripAdvisor, mostly about how attentive the staff were. Asia made a sweep of this year’s list taking out half of the top 10 hotels worldwide. Cambodia took out second place with the Shinta Mani Resort in Siem Reap where you can lap up the luxury for about $286 AUD per night, and the Hanoi La Siesta Hotel & Spa in Vietnam took number four. The Achtis Hotel in the Greek village of Afitos at number five is also reasonably priced. A night at this glamorous hotel will only set you back around $150 AUD per night. At the other end of the scale, the most expensive hotel listed was the Belmond Le Manior aux Quat'Saisons which ranked at number six and charges an eye-watering $1671 AUD per night. The beautiful Saffire Freycinet in Coles Bay, Tasmania was voted the best Australian hotel, with average prices sitting at $2244 AUD per night. Other luxury properties including Uluru Longitude 131, Emirates One&Only and Kangaroo Island’s Southern Ocean Lodge also made it into the Top 10. If you’re looking for a more affordable luxury stay in Australia, perhaps consider the Cairns Coconut Holiday Resort which was listed as number nine and has a much more affordable price tag of around $140 AUD per night.